Aarhus Universitet or the University of Aarhus is the second largest university in Denmark (after the University of Copenhagen), based in Århus. The University of Aarhus is the second oldest and second largest university in Denmark. It was founded in 1928 with 78 students and is still an institution with close ties to the founding local community. Most of the university's yellow-brick buildings are located on our picturesque campus which is situated in a hilly area, with a moraine valley full of large oak trees and a stream that flows into two small lakes. We believe that attractive, friendly surroundings promote inspiration, industry, and efficiency, helping students and teachers to have a sense of well-being here. We know that the many researchers and students who have spent time at the University of Aarhus over the years have taken warm, living memories home with them and that the bonds they have developed here are strong and durable. The University of Aarhus is a centre of tradition and innovation, discussion and debate, co-operation and concentration, and we are pleased to be able to share these with others. We value the contributions which international students and researchers make to this tradition and to the cultural and social diversity which enhances the academic experience. The university has connections with all corners of the world and it is our policy to welcome guests from abroad with open arms. The first chapter of the University of Aarhus' history began with the inauguration of "University studies in Jutland" in Aarhus Technical College's ceremonial hall on the 11th of September 1928. The municipality of Aarhus allocated a budget of 33,000 Dkr for the first year, classrooms were rented from the Technical College and a teaching corps consisting of one professor of philosophy and four Readers of Danish, English, German and French was assembled. On inauguration day, 64 students registered. During the first semester the total rose to 78. A wide circle of citizens from the city's business community, organisations and institutions formed the University Association Aarhus (Universitets-Samvirket), in 1921, which, together with the municipality of Aarhus, formed the impetus in the fight to have Denmark's second university located in Aarhus. From the beginning, in 1928, it was the University Association's job to participate on the University's board together with representatives from the City Council and a representative for the University's teachers. 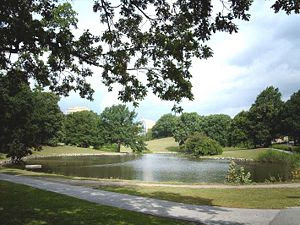 Another important function was the raising of funds for the construction of university buildings on the site allotted by the municipality in 1929 for the coming University Park. Up until the 1940's the University's buildings were erected exclusively by means of donations. The national government financed the majority of administrative costs from and including 1932. Use of the name "The University of Aarhus" began in 1933. The Faculty of Arts, recently renamed the Faculty of Humanities (in accordance with the Danish equivalent Det Humanistiske Fakultet), has offered courses right from the beginning in 1928. In 1933 the Faculty of Medicine began its courses in basic medical subjects. When the dental school was included in 1992 the name was changed to the Faculty of Health Sciences. In 1997 professor Jens Christian Skou received the Nobel Prize for Chemistry for his discovery of the sodium-potassium pump. The Faculty of Economics and Law was established in 1936. The name was changed to the Faculty of Social Sciences when Political Science and Psychology were added. From 1938–1940 Theodor Geiger was professor of sociology at the university — Denmark's first. The Faculty of Theology was established in 1942. Courses in theology had been offered from 1932, being previously taught at the Faculty of Arts. Faculty of Medicine and Geography from the Faculty of Arts. Mathematics was established as a new subject, followed by Biology and Geology. 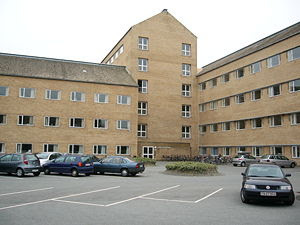 The Faculty of Agricultural Sciences, the former Danmarks JordbrugsForskning (DJF), was amalgamated with the university in 2007. 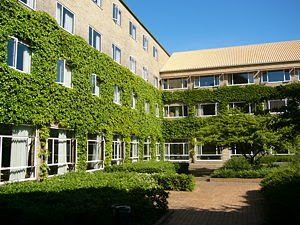 Aarhus School of Business was founded in 1939 and amalgamated with the university in 2007. The National Environmental Research Institute (NERI) was amalgamated with the university in 2007. 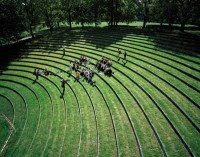 The University of Aarhus ranks amongst the 200 best in the world, and has very strong academic environments within science, health sciences, social sciences, theology and the humanities. The study environment at the university is concentrated around an attractive campus in the centre of the city of Aarhus – with excellent opportunities for interdisciplinary collaboration and contact with all parts of the university. The university is internationally oriented and in a strong state of development, with an extensive academic scope that covers all aspects of the social sectors. 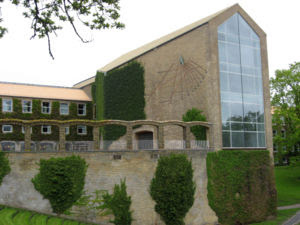 On 1 January 2007, the University of Aarhus merged with the Danish National Environmental Research Institute (NERI), the Danish Institute of Agricultural Sciences (DIAS) and the Aarhus School of Business (ASB). 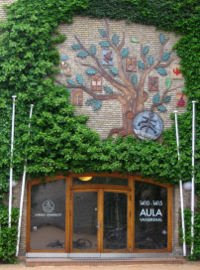 On 28 February 2007, this merger was extended to include the Danish University of Education (DPU). 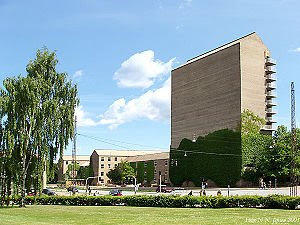 As a result of the merger, the University of Aarhus has considerably increased in size, and is the second-largest university in Denmark. The university has approximately 35,000 students and a staff of about 9,000 (full-time equivalent).